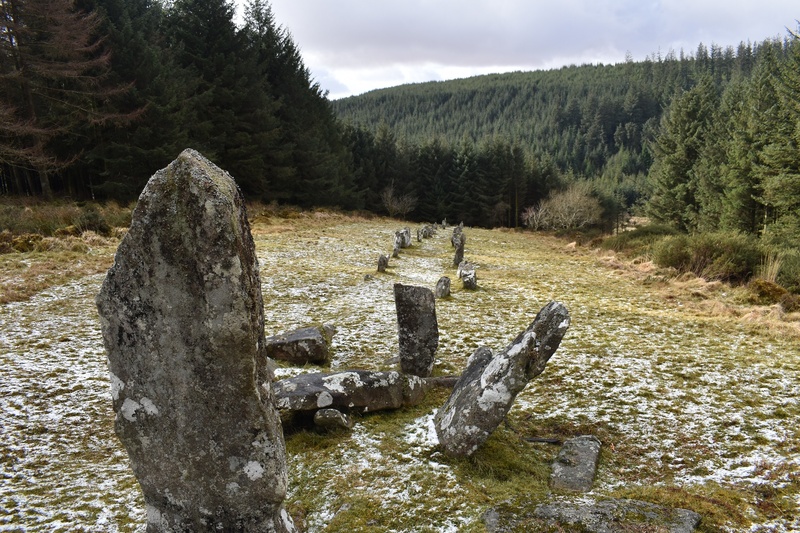 This is a decent Stone row surrounded by the forest of Fernworthy, the main feature of this stone row is the steep slope that it sits on. 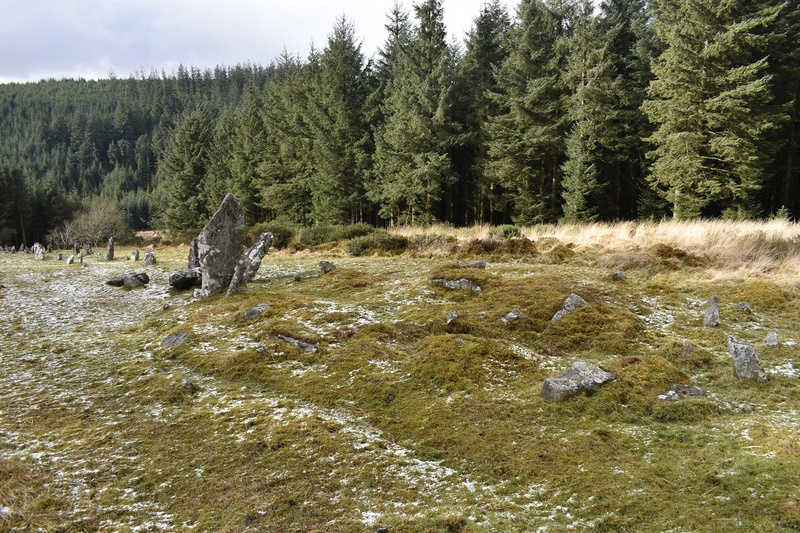 One the upper end is the round cairn with the double rows of stones heading downhill to the west, finishing at a blocking stone some 125 metres later. 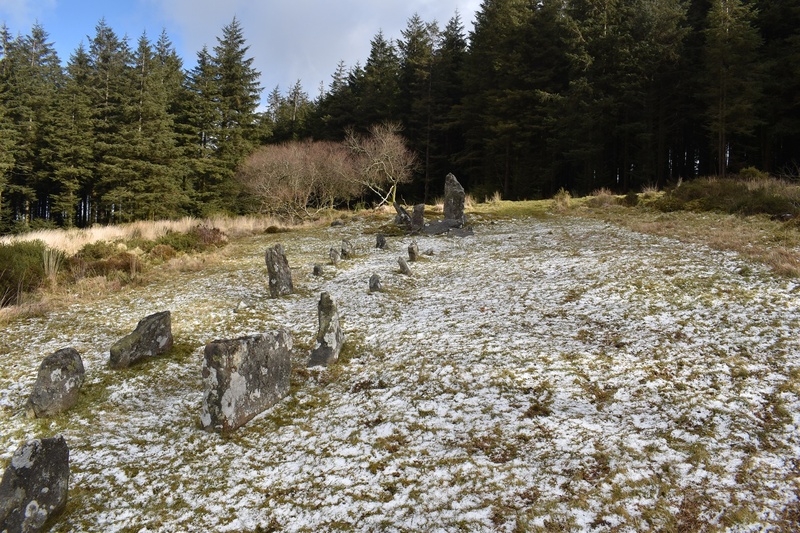 This stone row is one of many in Fernworthy alongside other stone circles in the area. 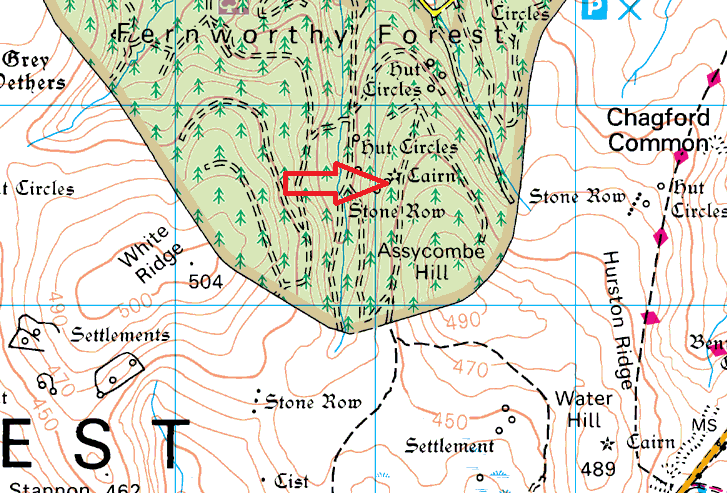 This clearly was a strong area for Bronze Age man.